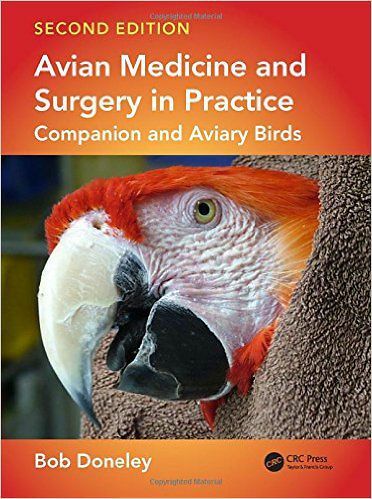 Avian Medicine and Surgery in Practice is an invaluable quick reference resource for clinicians and a useful study guide for veterinary students. In this practical and beautifully illustrated book, early chapters cover physical examination, advice on interpreting diagnostic tests, and avian anatomy and physiology. Disorders affecting the different body regions and systems make up the majority of the book from the external―skin, feathers, eyes, legs and feet―to the internal including the gastrointestinal tract and the cardiovascular system. Further aspects of avian medicine discussed in the book include behavioural problems, incubation of eggs, paediatrics and surgery. Written by an expert with more than 30 years of clinical experience in avian medicine, the new edition is thoroughly revised with updated diseases, new and expanded clinical techniques, and over 100 new color illustrations. It also adds four important new chapters: Husbandry, Grooming and Nutrition, Diagnostic Imaging, Endoscopy, and Oncology as well as new sections on cardiovascular anatomy and neuroanatomy.